Services – The Elm Press, Inc. The products and services we offer are incredibly diverse and afford our customers a consolidated vendor for all of their operational, marketing, and other business communication needs. On top of our foundation as a general commercial printing company, we have built the information and distribution services which are often needed as well. It is our diverse array of production, finishing and distribution capabilities that allow us to effectively address short, medium and long run requirements regardless of complexity. Our goal is to be the “one-stop” vendor for our client’s. A danger in our industry is to be classified into specific product or service niches. We are not simply a graphics service bureau, a forms printer, a label printer, or a general commercial printer. Our unique business model allows us to be much more! 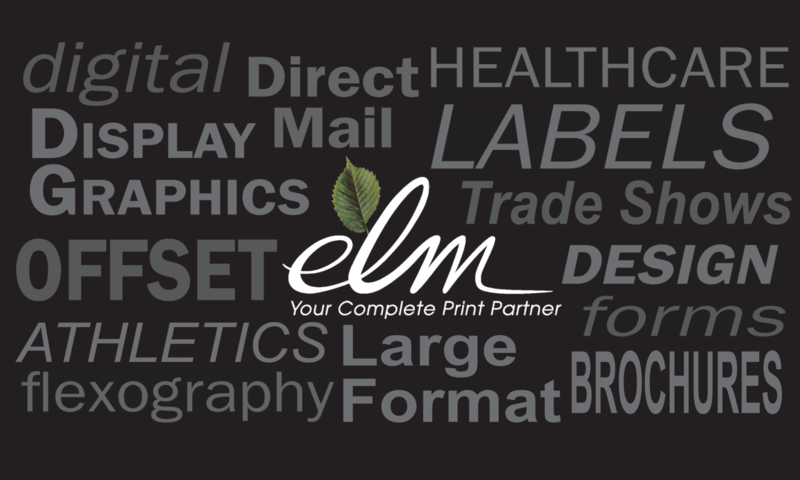 From database publishing to packaging graphics; business cards to full-color catalogs; one of a kind banners to hundreds of thousands of brochures; warehousing to custom mailing services; the Elm Press, Inc. has the ability to meet any need.